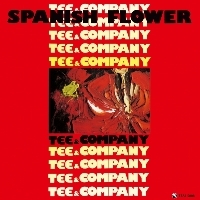 "Tee" in Tee and Company is the nickname of Three Blind Mice's founder and producer Takeshi Fujii, who formed the all-star group of eight top Japanese jazz musicians in 1977 for a series of concerts and seven days of studio recording that produced three separate albums. This supergroup included who's who of the Japanese jazz scene: Kenji Mori and Takao Uematsu on saxophones, Masaru Imada on piano, Masayuki Takayanagi on guitar, Hideto Kanai on bass, Nobuyoshi Ino on electric bass, Hiroshi Murakami on drums and Yuji Imamura on percussion. The last installment of the trilogy features Imada, both as composer and pianist. The opening track "A Tree Frog" has an exotic sound signature due to the use of 12-string guitar (by Takayanagi) and tabla (by Imamura) while the title track is a lyrical fast waltz with a distinct Spanish flavor. The vitality of the performances backed by very high levels of musicianship is quite exciting and impressive. This is an important historic document of the energy that jazz had in Japan in the late 1970s! Produced by Takeshi Fujii. Recorded at the Aoi Studio, Tokyo, on November 13 and 14, 1977. Blu-spec CD is compatible with all regular CD players. Paper sleeve special limited edition.